It's officially the first day of summer, although you'd never know it around here. 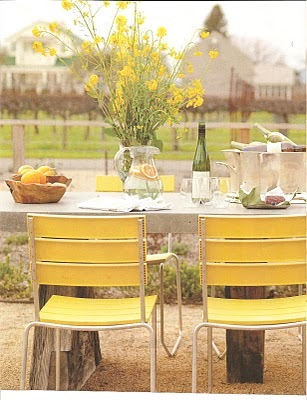 I would much rather be sitting out in the sun at a table like the one in the photo. Instead, I think I'll go put on a sweater and make a cup of hot tea!